With 62 color illustrations. 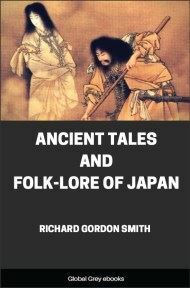 This is a collection of 57 historical legends and folktales from Japan. Nearly all of them are set in a well-defined time and place, instead of 'once upon a time.' 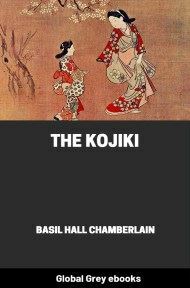 Themes include ghosts; unrequited love across social boundaries; Shinto landscape, tree and ocean spirits; and tales driven by Bushido and Buddhist ethics. Chapters include: The Golden Hairpin; The Spirit Of The Willow Tree; Ghost Of The Violet Well; How Yogodayu Won A Battle, and many more. UP in the northern city of Sendai, whence come the best of Japanese soldiers, there lived a samurai named Hasunuma. Hasunuma was rich and hospitable, and consequently much thought of and well liked. Some thirty-five years ago his wife presented him with a beautiful daughter, their first child, whom they called 'Ko,' which means 'Small' when applied to a child, much as we say 'Little Mary or Little Jane.' Her full name was really 'Hasu-ko,' which means 'Little Lily'; but here we will call her 'Ko' for short. Hasunuma took the pin, and handed it to his wife to keep; then they drank saké to the health of each other, and to the bride and bridegroom of some twenty years thence. A few months after this Saito, in some way, caused displeasure to his feudal lord, and, being dismissed from service, left Sendai with his family—whither no one knew. Seventeen years later O Ko San was, with one exception, the most beautiful girl in all Sendai; the exception was her sister, O Kei, just a year younger, and as beautiful as herself. Many were the suitors for O Ko's hand; but she would have none of them, being faithful to the engagement made for her by her father when she was a baby. True, she had never seen her betrothed, and (which seemed more curious) neither she nor her family had ever once heard of the Saito family since they had left Sendai, over sixteen years before; but that was no reason why she, a Japanese girl, should break the word of her father, and therefore O Ko San remained faithful to her unknown lover, though she sorrowed greatly at his non-appearance; in fact, she secretly suffered so much thereby that she sickened, and three months later died, to the grief of all who knew her and to her family's serious distress. In thus praying, no doubt, O Ko's mother thought that Kônojô also must be dead, and that their spirits would meet; but it was not so, for two months after these events Kônojô himself, now eighteen years of age, turned up at Sendai, calling first on his father's old friend Hasunuma.